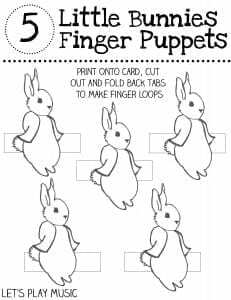 With spring on the way, this 5 Little Bunnies finger rhyme and puppet craft is just the thing to get everyone in mood for Easter. This 5 Little Bunnies song could be sung in different ways depending on where you are and the props that you have available. If you have some little bunny toys or puppets or some felt bunnies and a felt board, then they would be perfect. If you have the time for some crafts then check out our Spring Into Easter & All Kinds Of Puppets Pinterest boards for some simple ideas. 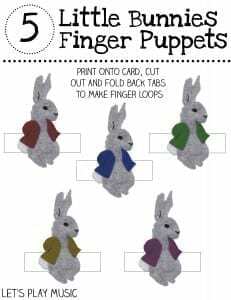 Our free printable finger puppets are very quick and easy, just print onto card, cut out and off you go! Click here to print some finger puppets in colour, and here for black and white versions for kids to colour in. 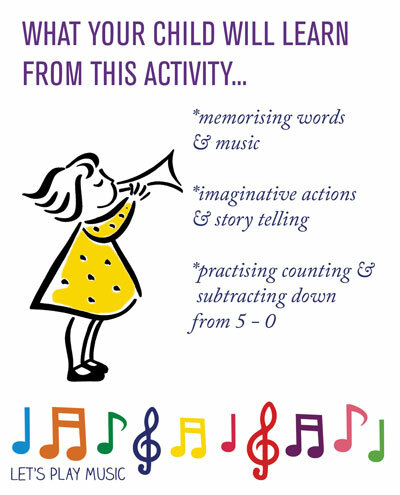 If you are in the car or on the move then just plain fingers will be just fine – children love using their imaginations! Follow Sara @ Let’s Play Music’s board All Kinds of Puppets on Pinterest. 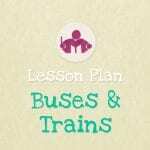 Check out our Spring Lesson Plan for a 35 min structured music lesson full of fun Spring themed ideas or our Easter Lesson Plan for plenty of bunnies and hot cross buns! 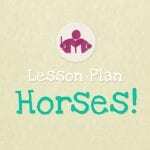 If you enjoyed this post, come and join us on Facebook & Pinterest! Would you say that this is appropriate for Grade 000’s (age 3-4)? Hi Marina, Yes I think The 5 Little Bunnies would be perfect for 3-4 yr olds. Older children will find it easier to grasp and learn the words of course, but younger children will love to watch, count and join in where they can. Either way it’s a great Spring and Easter counting song – I hope your class have fun with it! I’m making these for my 9 month old grandson’s Easter basket! Thank you for sharing your puppets and the song.